This wifi pet feeder is an interactive feeding device for your pets it lets you feed, watch and speak with your pet when you’re away from home. Built-in camera and microphone lets you see and hear your pet from your smartphone in real time. 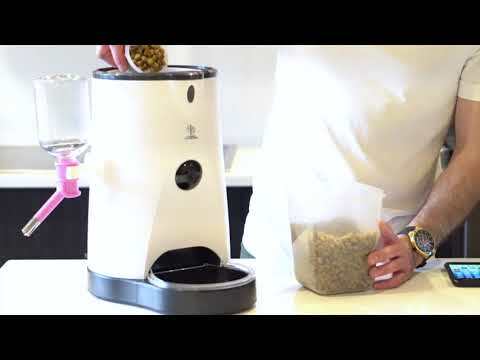 With this device you can set feeding schedules and monitor your pets feeding with ease with the 250ml water feeder attachment it makes it easy to provide your pet with much – needed water when you're away from home. This Wifi pet feeder was also in the bags of the official gift lounge for the 60th Annual GRAMMYs®.